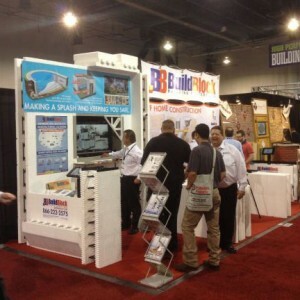 The BuildBlock team had a great time visiting with future customers and partners at World of Concrete and the NAHB International Builders’ Show at the Las Vegas Convention Center. At World of Concrete in January BuildBlock CEO, Mike Garrett, was asked to speak during the PCA panel on “Resilient ICF Construction.” Mike shared that ICFs are consumer driven and the most important amenity is home that withstands disasters. 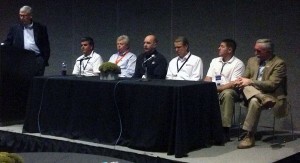 The panel noted education and training as critical for installers and contractors as well as the consumer. Mike also explained how growth as an industry is being driven by great quality from ICF manufacturers like BuildBlock. He also noted that BuildBlock’s new GlobalBlock ICF is a true builder market block. This product is 30% cheaper, uses 35% less concrete use and has 43% more R-value. This bring ICFs near the same cost as wood frame construction. 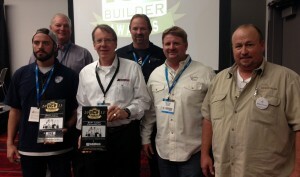 While attending the ICF Builder Awards BuildBlock was honored to win the 2013 Best Light Commercial category with our All Saints Newman Center in Tempe, AZ. The ICF Builder Awards shows diversity of sizes and styles ICFs are capable of. Construction with ICFs have virtually no limits. Attendees who came by the BuildBlock booth were able to get hands on with the best ICFs block in the industry while discussing details with industry experts like our very own Latin American Sales Executive Alfonso Nieves and Technical Director Dennis Micoff. 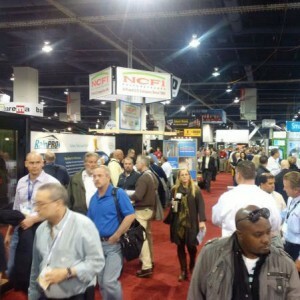 In February we were back on the road to Vegas again, this time for the NAHB International Builders’ Show. 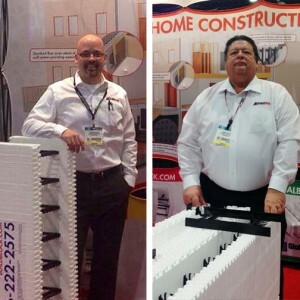 The attendance at the International Builders’ Show was fantastic and another great opportunity for attendees to see why BuildBlock truly is the best ICF block in the market. Don’t miss out on your chance to visit us while we’re on the road. You can follow us on Twitter of Facebook for updates on when and where we’ll be.